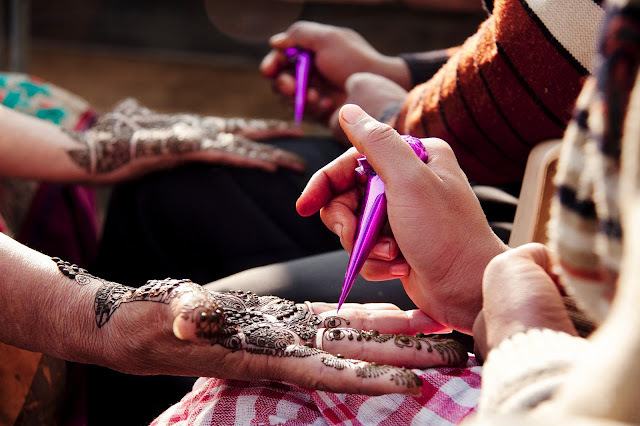 An Indian Wedding in not complete unless it starts with a Mehndi Ceremony. I love this form of Art! It is a new and unique piece every time! This was at a Wedding I attended in India. Here you will see 2 Artists working on the same woman and the result is stunning! Notice the detail and the texture. I am not sure if this stage in the process is my favorite or if the end result of the reddened design is.